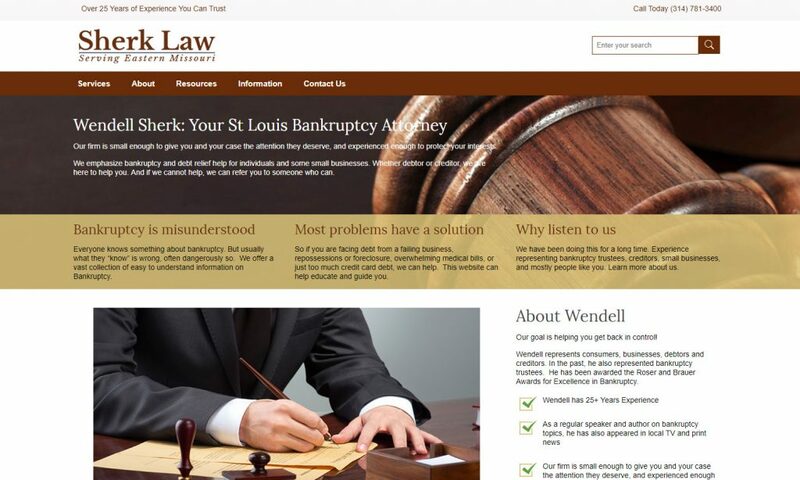 Wendell Sherk represents consumers, businesses, debtors and creditors. In the past, he also represented bankruptcy trustees. He has been awarded The Missouri Bar’s Michael Roser Award for Excellence in Bankruptcy in 2014. Previously he received the Judge Brauer Award for Innovations in Bankruptcy.